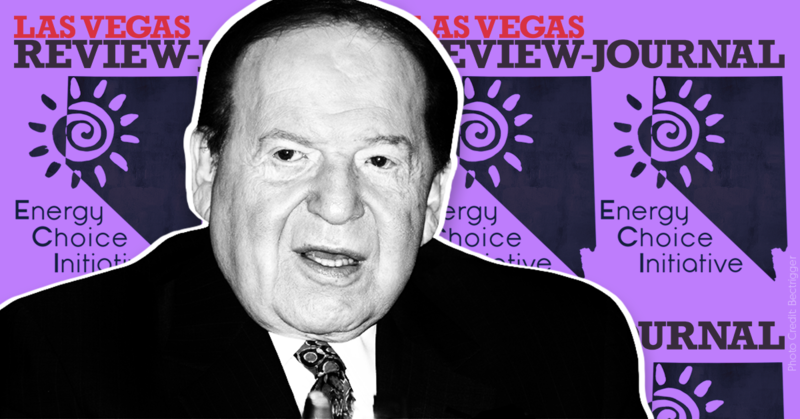 A Nevada newspaper owned by Republican mega-donor Sheldon Adelson published an editorial endorsing an Adelson-funded ballot initiative campaign -- and failed to disclose the connection. The Las Vegas Review-Journal ran an editorial on October 18 officially endorsing Nevada’s Energy Choice Initiative, or Question 3, a ballot initiative that would end utility NV Energy’s monopoly on electricity generation in Nevada and open up the state’s electricity market to competition. The editorial board failed to mention that the newspaper is owned by casino magnate and GOP campaign contributor Adelson, whose company, Las Vegas Sands Corp., has contributed millions of dollars to the PAC supporting Question 3. The Review-Journal endorsement of Question 3 argued that it would benefit Nevada’s consumers. But the editorial did not disclose that the newspaper is owned by Adelson, Question 3's biggest backer. The editorial board’s position should not come as a surprise, as the paper has given favorable treatment to Adelson ever since he bought it. Adelson purchased the Review-Journal, the largest newspaper in Nevada, in December 2015 for $140 million. Soon after he bought the paper, Politico reported that “stories involving new owner Sheldon Adelson are being reviewed, changed or killed almost daily.” When Adelson lost an attempt to have a judge removed from a lawsuit against Las Vegas Sands, the paper's leaders told its journalists that they must monitor the judge, and when the journalists protested, they were told that the directive came from above, according to The New York Times. Adelson is also a major supporter of President Donald Trump, and the Review-Journal was one of the first major newspapers to endorse him for president in 2016. The issue of competitive markets arose in 2014 when data company Switch and several other large companies, including Las Vegas Sands, explored opportunities to stop buying electricity from NV Energy and instead purchase it on the open market. Switch was allowed to leave NV Energy’s monopoly in 2016 after agreeing to pay a $27 million exit fee determined by the Nevada Public Utilities Commission. Las Vegas Sands refused to pay a similar $24 million exit fee, and so remained a customer of NV Energy. Both companies helped form the Energy Choice Initiative campaign in 2016, leading to Question 3 first appearing on the ballot and passing with over 72 percent of the vote. Because Nevada law stipulates that constitutional amendments need to be approved in successive even-numbered election years, Question 3 is appearing on the ballot again in 2018. This year, Las Vegas Sands and Switch have both bankrolled the Energy Choice Initiative. As of October 12, the Yes on 3 campaign had raised more than $32.9 million, with Las Vegas Sands donating over $20 million and Switch giving close to $11 million. On the opposing side, NV Energy has largely bankrolled the No on 3 campaign, donating about $63 million in 2018. NV Energy is a subsidiary of Berkshire Hathaway Energy, which is controlled by Warren Buffett’s Berkshire Hathaway. When there was an effort last year to increase Nevada's RPS, Las Vegas Sands opposed it. The company testified in opposition to AB 206, a Nevada bill that would have made the state's RPS more ambitious by requiring utilities to produce 50 percent of their electricity from renewable sources by 2030 and 80 percent by 2040. The bill was ultimately vetoed by Gov. Brian Sandoval (R). Nevada voters will decide on Question 3 on November 6. After reports surfaced that President Donald Trump planned to end the Deferred Action for Childhood Arrivals (DACA) program, media outlets covering the story resorted to quoting representatives of the hate groups Federation for American Immigration Reform (FAIR) and the Center for Immigration Studies (CIS), as well as the nativist group NumbersUSA. Media outlets failed to properly contextualize these groups’ racist origins and practices, inappropriately characterizing them as reasonable voices in the debate over DACA. Republican presidential nominee Donald Trump has received endorsements from four national newspapers -- all of which either have familial or financial connections to his campaign, have repeated falsehoods and conspiracy theories to advocate for conservative causes, or have espoused outright racist views. Meanwhile, Democratic presidential nominee Hillary Clinton’s newspaper endorsements include a number of Republican-leaning publications that find Trump too “dangerous” to support. During a recent appearance on The Dr. Oz Show, Republican presidential candidate Donald Trump said birth control “should not be done by prescription.” A subsequent editorial by the Las Vegas Review-Journal used Trump’s remarks to falsely claim that Planned Parenthood is “the biggest obstacle” to “the availability of and access to birth control for women,” ignoring both media and medical groups’ concern that selling birth control over the counter could make it less affordable and accessible if health insurance does not continue to cover the cost. As Labor Day approaches, Media Matters looks back at how media have attacked organized labor over the past year. In the midst of several important battles for labor unions in 2016, media have often pushed misleading information about union membership and fees, attempted to delegitimize the votes of union members, uncritically cited and elevated voices from anti-union dark-money groups without proper disclosure, and claimed that teachers unions’ activism shows that educators do not care about what’s best for their students. Former New York City mayor and Trump supporter Rudy Giuliani falsely claimed that in the “eight years before Obama came along, we didn’t have any successful radical Islamic terrorist attack in the United States,” pushing a false right-wing media narrative that there were no terror attacks during the Bush administration. Speaker of the House Paul Ryan (R-WI) and the Republican-led Task Force on Poverty, Opportunity, and Upward Mobility released the GOP’s latest policy plan to cut government anti-poverty assistance programs. Many of the arguments in favor of Ryan’s proposed reforms are based on easily debunked right-wing media myths and poor-shaming. Ryan’s rhetoric in this poverty “reform” agenda -- titled “A Better Way to Fight Poverty” -- is gentler than in his previous policy proposals. But his plans are still based on myths, and his solutions once again are focused on gutting vital programs designed to assist Americans struggling to make ends meet and families in need. An editorial published by the Las Vegas Review-Journal insisted that student debt is “manageable for most students” and recycled previously debunked conservative talking points to fault student loan forgiveness programs and federal aid for America’s college debt crisis. The paper also echoed right-wing myths to argue that tuition “costs inevitably go up” in response to low-interest federal loans and dismiss progressive concerns about for-profit schools. A handful of fossil fuel industry front groups are engineering media campaigns aimed at persuading the public that the federal government should relinquish control of public lands to western states, claiming it would benefit the states economically. But evidence actually suggests that these land transfers would harm state economies, and the industry front groups are hiding their true motivation: opening up more public lands to oil drilling and coal mining while sidestepping federal environmental laws. Equal Pay Day “symbolizes how far into the year women must work to earn what men earned in the previous year,” according to the National Committee on Pay Equity. Despite efforts toward equitable pay in the United States over the past several decades, American women still face a considerable gap in pay when compared to their male counterparts. Rather than acknowledging the overwhelming evidence that American women are still paid less than men for the same work, conservative media have promoted myths and misinformation that obscure the truth about pay disparities. UPDATE (3/16/16): The Wall Street Journal editorial board has one-upped the Review-Journal in egregiously distorting a potential federal investigation of Exxon and other oil companies for intentionally misleading shareholders and the public about climate change. In a March 15 editorial, the Journal falsely claimed that the Department of Justice may "throw people in jail for scientific skepticism," and managed to do so without ever uttering the words "Exxon" or "oil companies." A March 15 Washington Times op-ed by Southeastern Legal Foundation chief operating officer Todd Young also attacked the potential investigation without mentioning oil companies, falsely alleging that the investigation could broadly apply to "those who question human-caused climate change science," when it would actually examine evidence that oil companies knew of reality of climate change but publicly sowed doubt about climate science in order to protect their profits. In discussing a possible investigation into whether ExxonMobil deceived the public through a campaign to sow uncertainty about climate science research, the Las Vegas Review-Journal misstated the issue as one of beliefs: "The last time we checked, there was no crime in being skeptical of climate change." But the reason for a potential Department of Justice investigation is that evidence shows the company intentionally misled the public about the role fossil fuels play in climate change. As reported by Kate Sheppard of the Huffington Post, Reps. Ted Lieu and Mark DeSaulnier, House Democrats from California who were persuaded by environmental groups' smear tactics, approached the Department of Justice last fall to look into whether ExxonMobil violated the Racketeer Influenced and Corrupt Organizations Act or any other federal laws. The company was allegedly "organizing a sustained deception campaign disputing climate science and failing to disclose truthful information to investors and the public." Rep. Lieu says he believes the company was working publicly to undermine climate science, and that its actions are on par with tobacco companies who were guilty of "lying to the American people" by denying the link between smoking and cancer in order "to better sell their product." Just as the DOJ used RICO law to prosecute tobacco companies in the late 1990s, Rep. Lieu says he would "would hope for a prosecution" of ExxonMobil if the facts warrant it. If the FBI decides to open an investigation, the move would be motivated entirely by political considerations. 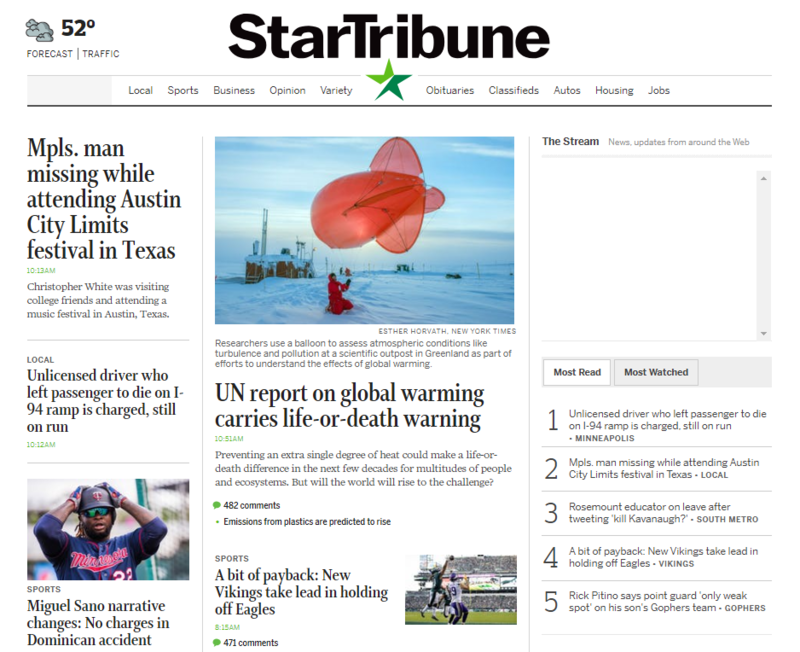 The last time we checked, there is no crime in being skeptical of climate change or advocating for policies that aid ExxonMobil's interests. An investigation would simply be Democrats and the environmental lobby seeking a big scalp. Furthermore, such an investigation is a trampling of First Amendment rights. ExxonMobil is under no obligation to worship at the altar of climate change, nor is any other company or individual. There is no constitutional rationale for punishing the company for its actions relating to dubious climate change claims, and the FBI shouldn't humor Democrats or environmental lobbyists any longer on this issue. There should be no further investigation. "The cigarette companies actively denied the harm of cigarette smoking, and concealed the results of what their own research developed," she said. "The motivation was money, and to avoid regulation." "It appears to me, based on what we know so far, that there was a concerted effort by Exxon and others to confuse the public on climate change," Eubanks said. "They were actively denying the impact of human-caused carbon emissions, even when their own research showed otherwise." Independent reports into Exxon's handling of its climate research reinforce Eubanks claim that there could be reason to investigate Exxon. 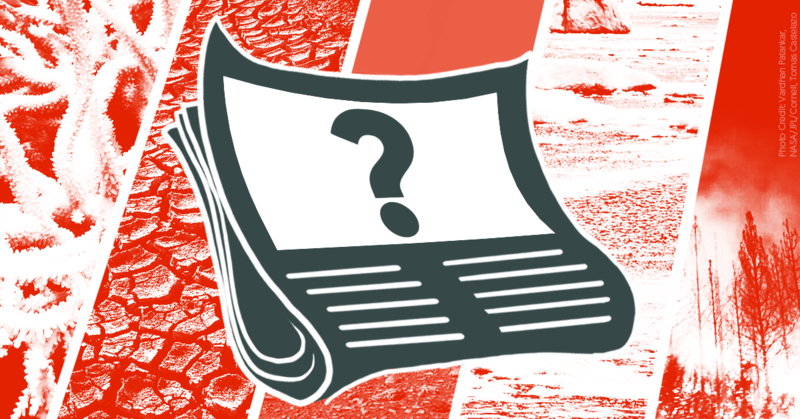 The Pulitzer Prize-winning InsideClimate News published a six-part series detailing its eight-month investigation into what Exxon knew using "primary sources including internal company files dating back to the late 1970s [and] interviews with former company employees." InsideClimate's investigation showed that "Exxon confirmed global warming consensus in 1982 with in-house climate models." Despite the company's scientific confirmation of climate change and fossil fuels' role, Exxon "sowed doubt about climate science for decades by stressing uncertainty." From 1998 to 2005, Exxon contributed almost $16 million to at least 43 organizations to wage a campaign raising questions about climate change, according to the Union of Concerned Scientists, an environmental activist group. Greenpeace has estimated that Exxon spent more than $30 million in that effort. Today, the effect of climate change is widely accepted. Average global temperatures have risen approximately 1.5 degrees since 1880, and the sea level has risen at a rate of 0.06 of an inch per year and is accelerating. Moreover, Arctic sea ice coverage is shrinking so drastically that last August, National Geographic had to redraw its atlas maps. In 2007, the company, for the first time since the early 1980s, publicly conceded that climate change was occurring and that it was in large part the result of the burning of fossil fuels. "There was a fork in the road. They had the opportunity to make a decision to go one way or the other way," said Martin Hoffert, an Exxon consultant in the 1980s and professor emeritus of physics at New York University. "If Exxon had listened to its scientists and endorsed our research -- and not started that campaign -- it would have had, in my opinion, an enormous impact." An editorial in the Las Vegas Review-Journal claimed Vice President Joe Biden is to blame for "bringing the [Supreme Court] nomination process to this partisan point" because of his role in opposing Ronald Reagan's 1987 nomination of the controversial judge Robert Bork. The paper neglected to mention any of the Republicans who also voted against Bork's nomination. As Mr. Tobin points out, it was Mr. Biden who was arguably most responsible for bringing the nomination process to this partisan point in the first place -- and not because of his 1992 diatribe, but rather due to his efforts to squelch the nomination of Robert Bork in 1987, turning the name "Bork" into a verb in the process. Judge Bork was nominated in July 1987 by President Ronald Reagan to replace the retiring Lewis Powell. Before the nomination, Biden had repeatedly said that, barring any qualification or ethics issues, he would have no problem confirming a conservative to the court, regardless of any criticism he received from liberal groups. But when those same groups protested the nomination of the conservative Mr. Bork, Sen. Biden -- then the head of the Judiciary Committee in a Senate that had just swung to the Democrats -- flip-flopped, joining Ted Kennedy and other Democrats in an unjustified smear campaign of Bork that blocked his nomination, ruined his name and, as Mr. Tobin contends, broke the court. The Review-Journal presented a false comparison by claiming Biden's opposition to Bork's nomination equates to current Republican opposition to any potential nominee presented by President Obama. When [Bork's] nomination reached the Senate floor, 58 senators, including six Republicans, voted to reject him. (After the vote, Strom Thurmond, of all people, urged the Reagan White House to nominate someone less "controversial.") The Republican president soon after nominated Anthony Kennedy, who was confirmed by the Democratic-led Senate, 97 to 0. A little tidbit: more Republicans voted against Bork's nomination in 1987 than voted for Justice Elena Kagan's nomination in 2010. (Six Republicans opposed Bork; five Republicans supported Kagan.) It's the sort of thing that adds some context to the trajectory of GOP politics. There is, in short, no historical support for the claim that the Senate has a tradition of shutting down the Supreme Court appointment process in presidential election years. The tradition is the opposite, for the Senate to consider Supreme Court nominations, no matter the timing, and actually to confirm nominees when they are moderate and well qualified. The Constitution is not a suicide pact. It does not relieve our leaders of their powers and does not cease to have effect at certain times, even during presidential elections. President Abraham Lincoln made five Supreme Court nominations during the Civil War, Wilson made two during World War I, and Roosevelt made three during World War II. Hoover made three during the Great Depression. A February 18 editorial by the Las Vegas Review-Journal encouraged Nevada and other states to replicate Maine's food assistance program work requirements. But reports find the requirements could hurt many of the state's most vulnerable people.